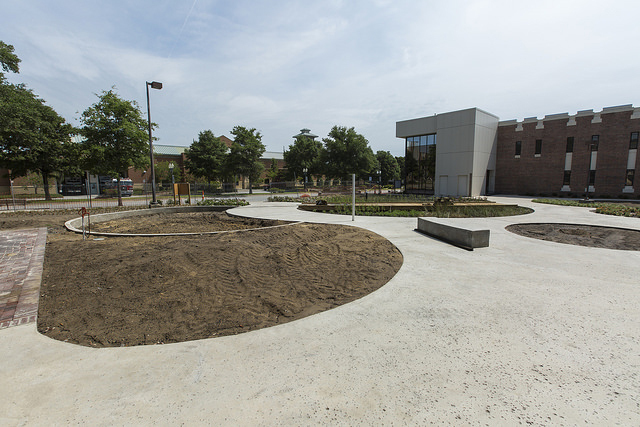 New Hanover County’s newest green space is set to open Friday, September 25, 2015 at Cape Fear Museum of History and Science. 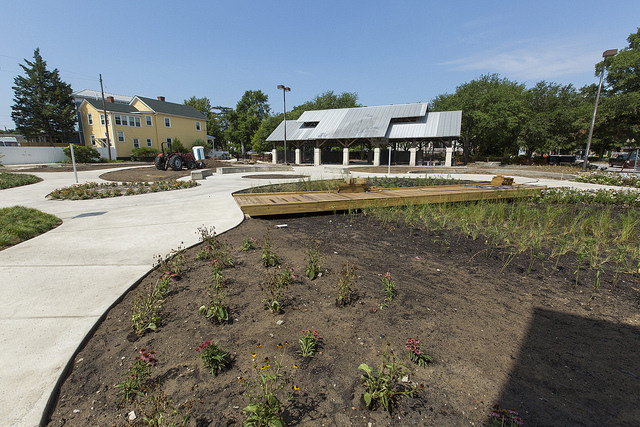 Located at the corner of Eighth and Market Streets adjacent to the Museum, the community park will welcome visitors with engaging hands-on exhibits, gardens featuring native and adaptive plants, and educational programs while also serving as a place to enjoy and explore nature in the city. In 2006, residents of Wilmington and New Hanover County passed a bond referendum to expand parks, green space, and cultural facilities throughout Wilmington, New Hanover County, and the beach towns. In 2008, the City of Wilmington sought community and citizen input on parks, recreation, and open space needs and priorities. 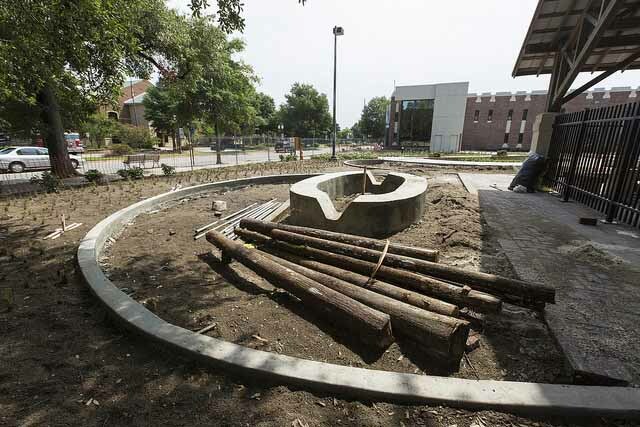 Planning for the Museum’s park began in the fall of 2012 and local officials broke ground in March 2015. “We are grateful to the county, city and taxpayers for the opportunity to create an innovative green space in downtown Wilmington. It will enhance the neighborhood as well as the visitor’s experience both inside and outside the Museum,” Museum Director Sheryl Mays said. enter the Museum in a new way – through the park! investigate how people, land, and water have interacted through time in the Lower Cape Fear. walk on a bridge over a rain garden, a shallow depression of native plants found in low-lying and wetland areas that reuses site rainwater and storm water runoff. “walk” on the river by following the stained concrete river path as it changes and intersects. delight in our “intersections” sculpture, adding art to the history, science, and culture presented in the exhibits. experience environmentally low-impact and sustainable design features in an urban environment. Opening events and activities are planned from Thursday, September 24 through Saturday, September 26. Visit our calendar of events for details.